This white paper explores five tips for dispersing powders into liquid more efficiently. The ideas discussed in this paper are recommendations based on Ross’ collective experience as a provider of specialty mixing equipment to the process industries for over 170 years. 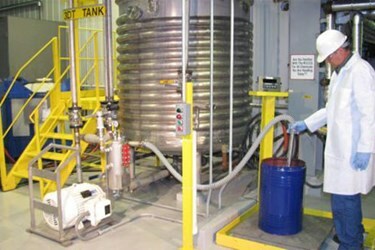 Mixer testing and simulation trials are recommended to confirm the suitability of a specific mixing strategy.